Dazzle onlookers wearing a brilliant comb packed with round, marquise, pear, and emerald cut rhinestones. 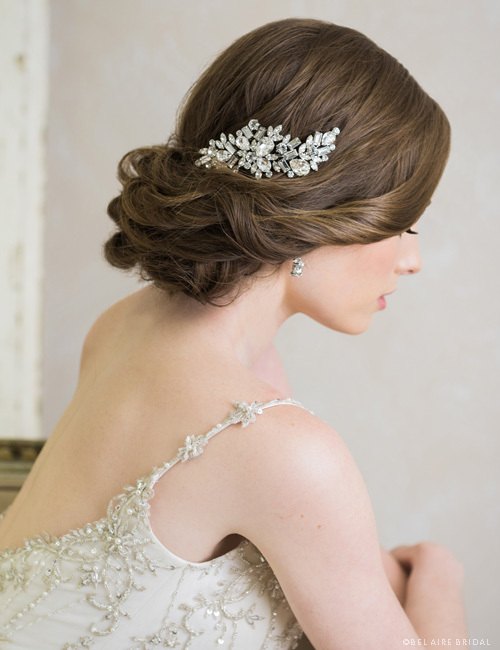 This glorious, shimmering design enhances your hair with pure glamour. Add a pair of stunning drop earrings to complete the look.